What does the Bible say about the Millennium and the end times? 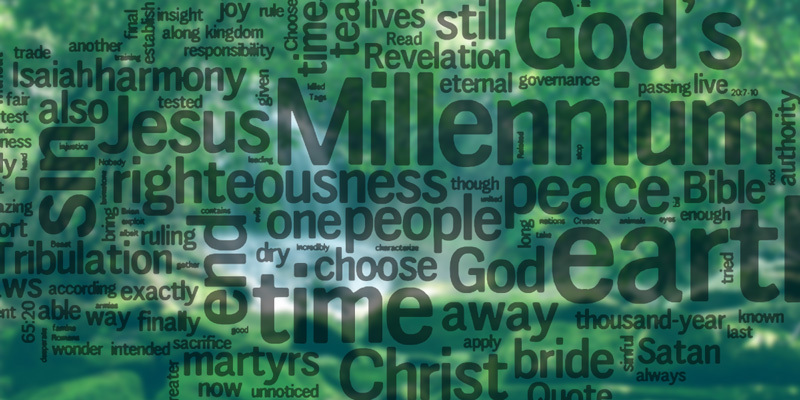 What does the Bible say about the Millennium? A short insight into the amazing thousand-year kingdom of peace that Christ will establish in the end times. But at the end of all this Jesus Christ will come back with the armies of heaven and they will begin a glorious time of healing on the earth. This is the start of the thousand-year era of peace known as the Millennium. The Millennium is a time of peace and harmony on the earth when Jesus and the saints will rule in righteousness. It is a time when all wrongs will be put right and all evils will be cleansed from the earth. Isaiah 65:20-25 contains a fuller description of the wonder and harmony that will characterize this time. Nobody will exploit another, nobody will steal or murder. The entire earth will be ruled by Christ, His bride and the martyrs. (Revelation 20:4) And their governance will be fair and exactly according to God’s laws. It will be how God always intended the earth to be. A haven of peace and righteousness and joy. A creation in complete harmony with its Creator. Will there be sin during the Millennium? In spite of all of this the sinful nature that is inherent in all of mankind will not have changed. People will still be born with a fleshSin is anything that goes against God’s will and His laws. To commit sin is to transgress or disobey these laws. The lust to sin dwells in human nature. In other words, it is contaminated and motivated by the sinful tendencies that dwell in all people as a result of the fall into sin and disobedience in the garden of Eden. This... More in which dwells no good thing. (Romans 7:18) The possibility for people to choose to sinTo commit sin is to consciously do something that you know goes against God’s will. This can be in word, deed, or even thought. (James 1:14-15)... More will still be there. But because Satan is bound during this time (Revelation 20:2) he will not be able to exert his outer influence on people. It will be much easier for people to choose to serve God and live a righteous life when they are surrounded by that same righteousness on all fronts. When there is equality and justice and mercy and patience and humility all around instead of warAlmost all talk of battles and wars when concerning a Christian life refers to the inner battle that arises when a sinful thought tempts you. God’s Spirit and the flesh are at odds. When you have decided to only do God’s will and are being led by the Spirit, a conflict between the flesh and the Spirit arises: there is... More and famine and tyranny and injustice. Those who nevertheless choose to live a sinful life and give in to their own pride and selfishness during this time will die early. (Isaiah 65:20) God’s laws still apply and nobody will be able to get away with sinning unnoticed. Jesus and His bride, along with the martyrs killed during the Great TribulationTribulations or trials refer to any event or situation that comes your way that tempts you to sin; that gives opportunity for sinful thoughts and temptations to rise up in you. The tribulation or trial arises when your mind to serve God struggles against your lusts to sin. It also often refers to difficult situations that test your ability to... More will be ruling the earth. These are God’s most trusted servants. Jesus, who was tried in all points yet without sinSin is anything that goes against God’s will and His laws. 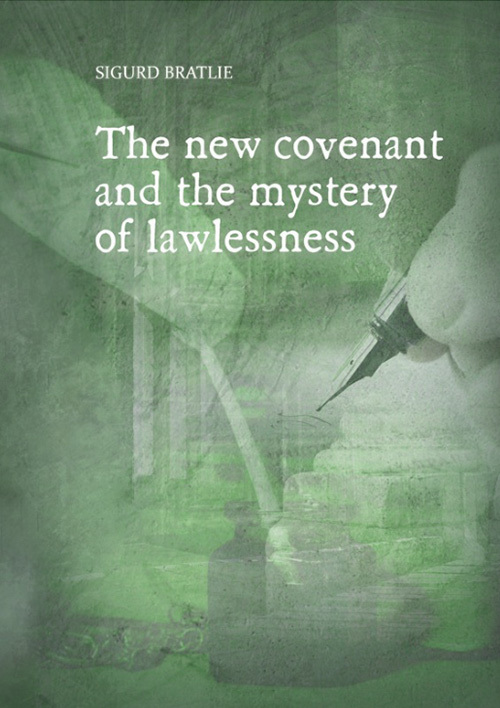 To commit sin is to transgress or disobey these laws. The lust to sin dwells in human nature. In other words, it is contaminated and motivated by the sinful tendencies that dwell in all people as a result of the fall into sin and disobedience in the garden of Eden. This... More, has absolute authority over all sin and unrighteousness. He is one hundred percent united with God’s will. The martyrs of the Great Tribulation have also been tested and will also be along in ruling during the Millennium for they have also given their lives to God, albeit in a different way than the bride. (Revelation 20:4-6) The glory and the responsibility of the bride of ChristThe bride of Christ are all those who have purified themselves as He is pure and have been conformed to His image. (Romans 8:29) They cleanse and purify themselves of all sin and are true followers of Christ. The Bride is another term for the church of Christ.... More will be much greater than that of the martyrs, because their sacrifice was also greater. All of these will work together to ensure that the world grows in peace, harmony, righteousness, and godliness during the Millennium. Even though the Millennium will be a time lived in peace and righteousness, it is not God’s final goal for His creation. Satan has been bound, but not completely eradicated. And despite the wonder and harmony on the earth, it is still not perfect in God’s eyes because it bears the eternal stain of sin. At the end of the Millennium Satan will be loosed from his chains for a short time, though it is unclear exactly how long this time is. This is his final chance to deceive all the nations and get people to follow him. Incredibly, he will gather enough people from all over the earth to create an army, and they will surround Jerusalem again, in a last desperate bid to take over God’s creation. It is wonderful to sit and think about what immense rejoicing the Millennium will bring, when all the tears and sorrows are finally washed away. But the happiest people in the Millennium will be Jesus and His bride. They have the greatest reward because they have made the greatest sacrifice. Now is still the time to choose where you will be. The glory of each one will differ in eternity. How awful would it be to trade in our eternal glory for the passing pleasures of sin here on earth! Why not choose to be a part of the bride now? Choose to be one of those who accepts God’s judgment and leading in their lives. This is His way of training you for the responsibility of ruling over the earth during the Millennium. Choose to be one of the ones drying away tears instead of one who has tears to dry. Interested in reading more about the Millennium and the end times? Try downloading the free e-book “The Bride and the Harlot and the End Times,” or explore our theme page about the end times. The end timesWhat does the Bible say?